Rab HBLED Series LED Floodlight fixture in bronze color, features precision die-cast aluminum thermal management housing that ensures superior heat sinking. 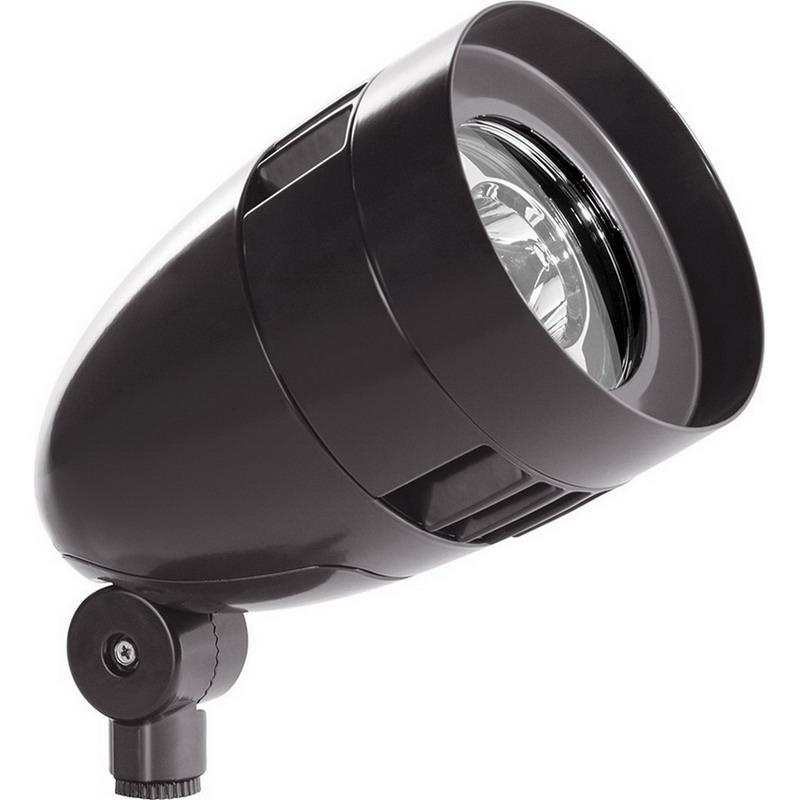 This LED floodlight fixture has one 13-Watt 82 CRI 4000K ultra efficient LED lamp to offer 1259-Lumens of light output. It has voltage rating of 120 - 277-Volts. This bullet shape LED floodlight fixture measures 5-1/2-Inch Dia x 8-3/4-Inch. It has power factor of 99.3% at 120-Volts. This floodlight fixture in polyester powder-coated finish, supports arm mounting for simple and easy installations. It withstands ambient temperature rating of 40 deg C and requires a minimum starting temperature of -40 deg C. LED Floodlight fixture is UL listed.